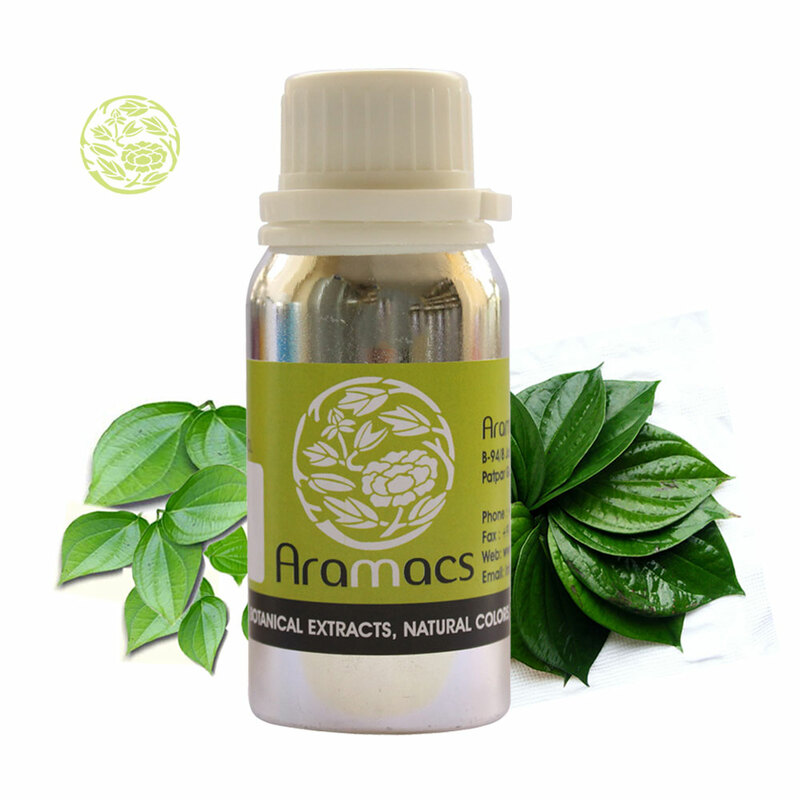 Uses: Betel leaf oil has invigorating properties. This oil is also used as a deodorant component. The betel vine is cultivated predominantly in South Asia and South East Asian countries, where India is the leading producer. The plant is a perennial creeper and requires high land and fertile soil for growth. The creeper is harvested during the monsoon season. The vine reaches around 150 to 180 centimeters before being harvested. The harvest lasts for fifteen days to one month. The plant is believed to have originated in the Malay Archipelago and later spread through tropical Asia and Malaysia. Its use dates two thousand years back. Betel vine cultivation began in South Asia with India producing about Rs. 7000 million annually. Fresh betel leaves are steam distilled to obtain the oil. The leaves are partially before extraction process. Young leaves give the highest yield. The oil is usually medium brown to bright yellow in color depending on the type of leaf used. The odor is sharp and the taste bitter. Betel leaf oil contains various health benefits, curative and healing properties. It is rich in calcium, vitamin c, thiamine, carotene, riboflavin, and niacin. Topical application of the oil relieves from inflammations such as arthritis and orchitis. The essential oil of betel leaf relieves earaches, sore throats, and boils. The oil is used in the treatment of urine infections, headaches, nervous pains, constipation, lumbago, wounds, nervous exhaustion, and debility. Betel leaf oil stimulated the central nervous system and has the effect of antiseptic, anti-spasm, control sugar level, and a pain reliever. It also reduces gingivitis, skin infections, and blood cough. The essential oil of betel leaf consists of starch sugar, fungicides, and diastase. These components eliminate body odor caused by bacteria and fungi. In traditional medicine, the oil is used in the treatment of stomach related problems and gastrointestinal disorders. Honey mixed with the oil serves a good tonic. The oil deals well with pimples and other skin related issues. In addition, it can be applied on to sore eyes, bleeding gums, burns, and eczema. The oil preserves teeth, hardens gums, and sweetens breath. The oil has strong anti-septic properties and in certain respects resembles cocaine. Indian Ayurveda practitioners use the oil to cure worms. Certain components in the oil can reduce blood sugar level. 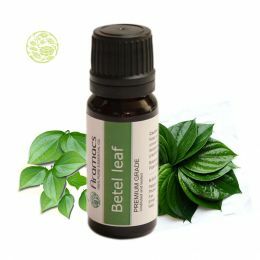 Betel leaf oil is a stimulant and a breath freshener. It is also strongly carcinogenic. Betel oil along with coconut oil relieves lower back pain. The oil heals wounds in two days in a single application. Betel leaf oil is credited for its carminative, aromatic, digestive, and simulative properties. In addition, the oil is a reputed aphrodisiac. Your company really surprised me with their packaging and delivery time of the product. I received the finest quality betel leaf oil and will surely use the service again. I am using this oil as a aromatic, antiseptic, stimulant and various other uses. Glad that you provided me with such a useful product at such a short time. I really appreciate it. The oil is rich in many vitamins and I used it after it was advised to me by my doctor. The healing properties of the oil are really beneficial in m case and I will refer it to all.